Are you searching for decor treatments? If so, XPO Blinds can help! Solar radiation provides interior spaces with heat and daylight, but excessive UV rays can damage your home’s furniture. 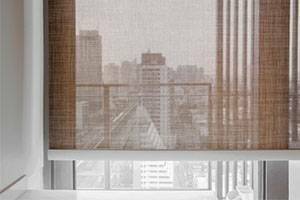 At XPO Blinds, before any other decoration tips, we recommend what window treatments suit bests based on the location of your windows. Protecting against sun glares and overheating of your property is a must before any other recommendation based on aesthetic design. First, the color and texture of window treatments can set the tone for any specific area to create a level of formality, or casual atmosphere. However, taking into consideration that direct sunlight varies during different times of the day so choosing the right blind is a must. 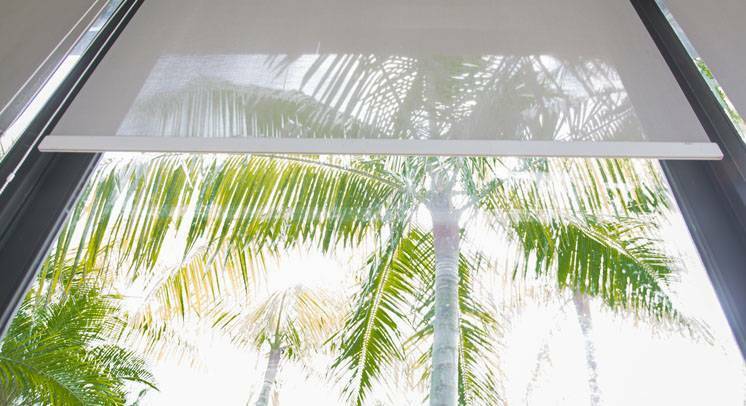 Whether the main focus is privacy, light control or both, the direction of the sun is important to choose a window cover that suits best a specific room. For example, a good option for a bedroom window is a semi-sheer or zebra shade to manipulate the amount of light coming from the outside. 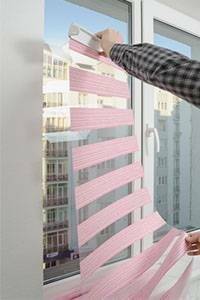 Moreover, if you live in a condo and have an unattractive neighbors brick wall view, you might choose a natural woven roman shade allowing light to come through but at the same time distract from the unpleasant view. On the other hand, if privacy or light control isn’t needed the window decoration could be based on design and the client’s style. If looking for a minimalistic style, the fabric should be the same color as the walls but in a different texture. However, for a more eclectic look, a bold or intense color fabric against other rich colors can give you the desired outcome. 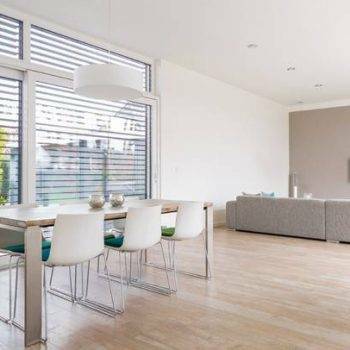 Even neutral walls in whites or creams against strong high contrast window treatments can give it a more dynamic and creative look. Mixing patterns are on trend right now and to be a successful design the scale of the patterns have to vary, so they don’t crash and compete with each other. Small, medium and large-scale patterns sharing similar colors will make any window decoration successful. If you like more of traditional patterns, silk, sateen, and velvet are generally more formal than linen, cotton and other natural fibers like hemp or bamboo. For some time, roman shades have dominated the market against wood blinds and shutters. Roman shades are the new option and come in a wide variety of fabrics and natural textures. 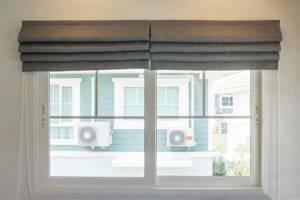 Moreover, linings can be added for additional privacy and light control as they are easy to operate and blend nicely with the rest of the home’s decoration.